The all new IK-HD5H Remote Head Colour Cameras is Toshiba’s most advanced 3-CMOS HD video camera. 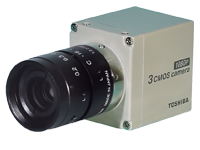 The IK-HD5H features Toshiba’s signature Microprism technology furnished with a brand new trio of full HD CMOS image sensors with high S/N and enhanced NIR sensitivity coupled with the feature-packed 3G-HD-SDI/DVI-D camera control unit. The Genlock fitted, light weight camera head features a C-mount and comes in size and appearance similar to its decorated 3CCD predecessor but delivers native HD 1080p/i in each channel at full 50 frames superb colour video. The IK-HD5H includes a removable Optical low pass filter – a revolutionary feature that opens up a whole new range of NIR imaging applications. The all new IK-HD5E 3G-HD-SDI/DVI-D control unit is Toshiba’s most advanced to date. 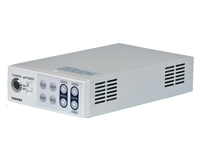 The feature-packed control unit enables dual-mode imaging applications switchable between visible light and near-infrared visualization and provides unprecedented user-controlled features and advanced noise reduction technology.